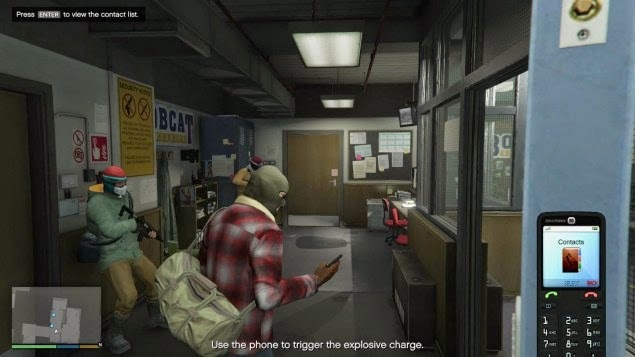 Rockstar’s GTA 5 can bring your PC up a good sweat. In the city the game usually runs quite smoothly, but on the country's performance often falls into the cellar. In this guide we'll show you how you can adapt to your needs. You should have a graphics card from Nvidia, we advise you to download the 'Game Ready' driver, which is explicitly designed for GTA 5 and to get the most out of your card. Alternatively, you can also Download GeForce Experience. This is a supplementary program that your video card sets in advance for a recommendation, so they have a good balance between performance and image quality for particularly popular games. Unfortunately, the recommendations in Grand Theft Auto 5 are not very reliable, because the demands of the game constantly fluctuate. But the recommendation is likely to at least provide a good starting point for your settings. What we advise, is lowering the screen resolution. Flat screens can not simply reduce its resolution; they have an intermediate result calculated and output to the fixed predetermined image matrix. That always looks terribly ugly and gives you only a little performance gain, because the weak points in the graph calculation is long gone in the basic edition, but in the size of the data traffic. Many high-resolution textures, complex effects and light / shadow calculations most likely slow on weaker graphics cards. Therefore, prefer to play at the native resolution of your monitor and bolt to the display quality. This brings much more than a reduction in the overall resolution. A much better alternative with similar effect is a view in windowed mode: here you can scale down the resolution regardless of the image matrix - but then have to live with a frame. Here you can find the available graphic options and their effects. They are just listed as in the Game menu, so you can scour the list item by item. We start with the normal graphics settings under the menu item "Graphics". This menu item determines whether you must not exceed the memory limits of your graphics card or. For desktop system this may bring a performance gain if your system is well matched. Particularly important is the speed of your normal working memory, because all video data, which your video card can not handle are outsourced and then shoveled only to video memory as needed. In less on games optimized systems of memory is significantly slower than the video memory - resulting in stuttering and interruptions. Exaggerates her there, the game may even freeze for several seconds away or completely lubricate because of traffic increases tremendously. Should you use this option, then proceeds cautiously and increased just so that you your graphics card donated a quarter of its own memory to do so. How much memory you need for the graphic, you will appear in the options. This option can also be an alternative, if you use a laptop graphics card with shared memory architecture. Such units do not have a graphics memory and therefore anyway collect all the normal RAM. Nevertheless, it is generally not the best solution. Who needs more shared memory for its graphics card, is better advised to increase the value in the BIOS. Again, however, caution - you will not destabilize your operating system! Direct X is the graphical interface used. The newer the version, the better the effects can be shown. Set is basically the latest available DirectX version. In most of today's graphics cards so DirectX 11. In older models, and older operating systems where appropriate DirectX 10 or 10.1. You can turn down even the Direct-X-use. This is actually performance headroom free because certain effects can no longer be displayed and no longer be available cryptically. However, this method is like an ax in the forest. We recommend that you keep the most recent for you Direct-X-graphics control. You can choose between three modes: full screen, windowed mode with no frame and window mode with frame. Do you want to reduce the power requirements on the basis of the resolution, as a windowed mode is advisable - and far better than the reduction in the overall resolution of the monitor. But this does not bring an excessive amount. The most beautiful view you get of course, only by full screen. Determine the number of pixels used. If you adjust only in windowed mode. Otherwise, leave always at the native resolution of the monitor to prevent jagged edges and blocking. Reducing the resolution, however, saves a little needed video memory. If your monitor correspond - in windowed mode, otherwise the image may distort. Always corresponds to that of your monitor automatically. Can be adjusted in some monitors. Did you connect multiple monitors, you can set here, on which the game will be shown. FXAA is a memory-efficient method for anti aliasing. It's about a post-processing effect, you lose by him neither memory nor a lot of computing time. Unfortunately FXAA causes in GTA V not much, because there are a lot of edges and the post processing can hardly distinguish what should flatten it and what not. There is no harm in any case not to leave it activated since it hardly consumes resources. Represent Multi Sampling Anti-Aliasing. Enable you this, the graphics is calculated dissolved significantly higher than the monitor can display. The Back Calculation of the ultra-sharp image on monitor size ensures smooth edges. Because this images with very high resolutions to be cached, this is an immense amount of video memory flutes. Moreover, the computing time increases a little, depending on the number of effects and real time calculations must be performed beforehand. To enable this option is worthwhile only in two cases. Either you have a ready graphic card with 4 gigabytes of memory, or you turn the image quality in favor of smoother edges down. People who handle 2GB, has little of this growth, albeit significantly more than the simple FXAA. We advise players with 2 GB more on MSAA. With an Nvidia graphics card the Kepler generation you TXAA is available once you MSAA enabled. TXAA is time-based and has a significantly better performance. Already a two-time factor has similar quality to quadruple MSAA. However TXAA depends on MSAA and also consumes a lot of memory as well as another piece of more power. Again, you are not really adequately equipped with 2GB video memory. You could put a two-time stage while squeezing in your memory - if necessary by slight reductions elsewhere. Whether the quality of growth is sufficient to justify the loss depends more or less on how strong is your graphics card. VSync stands for "Vertical Sync". Enables you this option, each image is output in time that it runs parallel with the video display frequency of your monitor. This reduces their distortion and image breaks in the image (so-called tearing). You can VSync the value set on "half" - in this case, every second image is omitted. VSync option profits you only a little, if you constantly reach either the full frame rate or half the frame rate. As a rule, these are then 60 FPS or 30 FPS. Fall below her, so a strong, unpleasant stuttering becomes visible because your PC will lose even more photos than usual. He has to wait for the synchronous clock of your monitor always yes. Fall at her full VSync eg at 58 frames per second calculated, so be practical rather spent 50 to 55, causing a regular stuttering. The value doubles in half VSync. VSync limited theoretically the frame rate, it can not positively affect or reduce the computational effort, however. Fall under her given frame rate, as it were, created a traffic jam. Can you but hold or exceed the targeted frame rate steadily, so VSync is strongly advised, because the more stable picture even looks better! This is not a graphics option, but rather an attitude of transition interactive scenery. Determines the number of generated passersby on the streets. Set them down when their overall performance degradation in the city have. This setting saves but virtually no video memory. Determines how many different types are generated by passersby. Lower its value, so certain types recur frequently. Using this setting you can reduce the video memory requirement quite a bit - albeit at the expense of a change in the passersby. The lowest quality is "Normal". Rotate this value upwards, the surfaces of all objects sharper. This swallows a little more power, but will mainly much more video memory to complete. Similar to the anti-aliasing, it is also possible here, with 2GB of video memory get more quality when you save a little elsewhere. But should be considered only when correspondingly much power is available. Especially when enjoying in 4K resolution may tip the scales this value, because drawing under 4k sharper textures and more power. This value determines how accurately certain effects are calculated on the surfaces of objects. This applies to all types of surfaces, thus lowering this value can be hugely release performance. However, the losses are from two stages lowered quite clearly visible, because the presentation appears coarser. In case of extreme fluctuations in the frame rate, it may be worth, at least one quality level to go down. If you're playing on the shadow quality, you can also release enormous power, because shadows are among the most intense computing time-eaters. Lower this value, so the shadows are drawn coarser and all sloping edges. May be very worthwhile in older systems but, just at higher image resolution levels. Change the resolution and accuracy of the reflection cube maps on cars, on windows, water and so on. Saves very low on memory, but the overall performance may increase somewhat as long as the value is lowered. Since reflections anyway are already significantly coarser than the actual environment, arises faster serrated edges. Do you want this smooth, so you can help the reflection MSAA. Does not cost an excessive amount of memory and performance, but is also only a small, rather inconspicuous feature that can be neglected, if necessary. Anyone who wants to get out of the quality 4K everything can turn up here. Determines how gentle waves are broken and how accurately reflects light and around it. Especially with rattling machines and weaker desktop PCs it is worthwhile to reduce the quality a little. Particles are usually effects of sparks, explosions, rain, etc. Your presentation assumes comparatively little computing power to complete. However, some particles require a path or target calculation (called Raycast). Single no problem, but in the crowd already. Should you hear losses especially in particles representation, then turn the quality down here. In most desktop systems but should have little impact. This is about the so-called post-processing effects such as light-gimmicks, color adjustments or the anti-aliasing method FXAA. To screw here worth it if you have less than 2GB of video memory on the graphics card. However, the post takes up little computing time, if you play under "normal" resolutions up to 1080p. Put down that makes the representation seem a little bland. The name says it all. Can minimally save power, but not much. The picture is a little softer, but less sharp when activated in motion. Determines whether and how much an artificial lens foreground and background on focus from one another. Is on weaker or older system a power guzzler. Modern graphics cards have so few problems. This value determines the sharpness and accuracy of all surfaces in the immediate vicinity. Lowers her this value, so you may know with any level lowered, like a blurred boundary representation closer (MIP calculation) and as the nearby surfaces are becoming pixelated. For graphics cards from the last two to three years antisotropisches filters eats virtually no power and can therefore be left to 16x. This value is critical because it has significant impact on quality and computing power. The deeper the value, the longer stay Objects (which are not really seen because they are covered by another object) in the scene. The advantage of high points of this option is the saving of computing time. Anything from an immovable object (eg a house) is hidden must not be calculated - this will free up resources. But it can also happen that objects disappear a little bit too early from the scene if you stand too close or you shop around. The coarser the calculation, the less that can happen. For calculates your PC but then more than is actually visible. Tessellation is a technology that can simulate rough surfaces, without having to be actually drawn. So you can, for example, the joint of a brick wall particularly sharp or rough stones can act even coarser. This is a relatively CPU-intensive effect, however, only a few places in GTA V is used. You see it especially on brick walls or occasionally in the great outdoors. The lower quality makes such unevenness smooth but unspectacular - Just imagine a castle, whose ancient stones look so smooth that they might be brand new. However, a reduction may be some release of performance in older graphics cards. The following values have an effect on the performance of your computer extremely out as they extend all normal graphics settings more visible area. So to fumble here has even more impact. Determines whether the shade all objects, but especially of trees and shown at sunset and sunrise to the top. At low sun inclination shadows are also extremely long and rich sometimes into areas that you don’t see properly. The long view is realistic, but also requires a lot of computing time and memory. Determines the overall quality of the shadow projection of the complete environment. This should only be increased if her anyway consistently generated high frame rates, may otherwise extremely cost a lot of power and memory. The representation of the environment is in flight other than on the ground. All objects are then summarized in a so-called batch and replaced by "Level of Detail" objects that are coarser and therefore cost less computing time. This is useful because you perceive a great many objects out of thin air. Adjusted this value, you will get to see more of the "high-resolution" world and fewer objects fall off. This costs both processing time and memory. Stay away in older computers! Sets the horizon further into the distance - thus shown more of everything. Cost computing time and memory. Determines how far into the distance drawn shadows. Shadows are always compute and storage intensive. Rotate only high when you have free capacity.